Featuring 292 world-leading manufacturers from 29 countries, including 9 international pavilions from China, Denmark, Germany, Italy, Korea, Singapore, Taiwan, Thailand and the United Kingdom, the trade exhibition showcases the best and latest technology, machines and solutions for industry from large scale manufacturing to MSMEs. Similarly, DTI sees the importance of good packaging in enhancing the marketability and competitiveness of Philippine MSMEs and so the Department has been working with UBM through efforts such as Pack Pinas! and ProPak Asia to broaden the horizons of MSMEs in their product packaging options. “Packaging is very important. When we started introducing Product Development to a lot of our MSMEs, it was so difficult to convince them to change the color, the design, the way they do things, until an event had to take place, a trade fair had to happen. Product prototypes were the ones making money and it was a realization among MSMEs that they had to innovate, they had to be more creative. They had to find out what the market needs so that they can sell more. Before, we look at packaging only to protect the product, making sure that we have a longer shelf life for the products. But now, more than that, packaging in the words of Secretary Ramon Lopez, is your form of advertisement,” said Trade Undersecretary Zenaida Cuison-Maglaya to the thousands of participants. 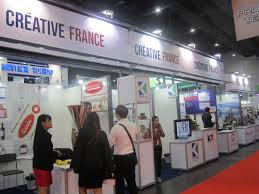 Last year, DTI and PIP sent more than 500 MSMEs to the ProPak Asia 2018 in Bangkok, Thailand. Aside from the exhibits, ProPak Philippines has also started to conduct seminars to discuss latest industry developments, trends and techniques in supply and innovation for the food, drink and pharmaceutical processing and packaging industries. On its first day, the trade show garnered almost 4,000 trade visitors composed of food processors, importers, distributors, manufacturers and other industry stakeholders.